Been inspired a lot with editorial pictures and fashion photography which I have been drooling over every time I saw them in magazine spreads or online editorial site. What a coincidence, my mom had this crazy (but remarkably awesome) idea to take a couple of pictures in my half-finished closet in my half-finished bedroom. 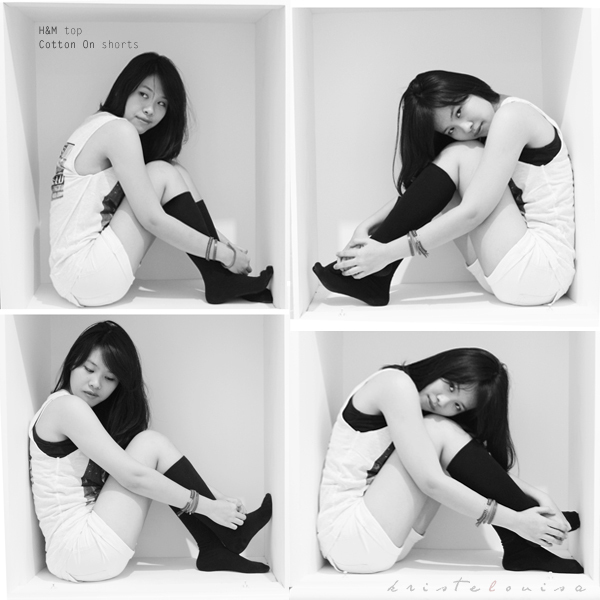 They totally look like a fashion shoot in a cube that I often found before! Nice shots! You look great in here. LOVE this photo! you look amazing. and i love how you're posing in the cubical!